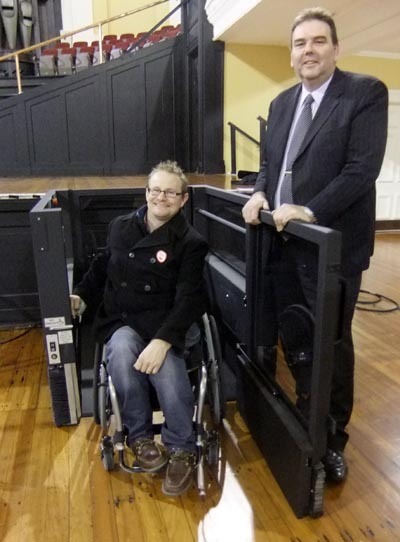 Positively Wellington Venues, home to the only portable wheelchair stage lift in New Zealand, will lend the lift at no cost to any organisations or venues in the Wellington region. Funded through a grant from the Performing Arts Foundation, the new wheelchair stage lift gives easy access to the stage for people requiring a wheelchair: for example, speakers, university graduands and performers. Craig Woolliams, Director of Facilities and Operations for Positively Wellington Venues, says the wheelchair stage lift is improving the accessibility of its venues: Michael Fowler Centre, Opera House, St James Theatre, TSB Bank Arena, Wellington Town Hall and Shed 6. Kendall Akhurst, a wheelchair user and trustee at Arts Access Aotearoa, sees real value in the stage lift not only for people in wheelchairs but for anyone with mobility issues unable to walk up steps and on to the stage. 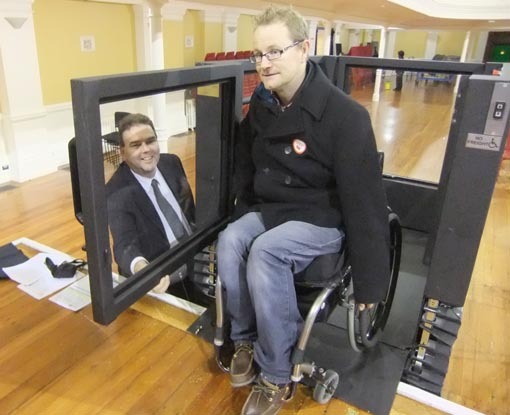 “This is a fantastic initiative for Wellington and will open a lot of doors for people with mobility issues,” he says. “I’ve been to events where I was the speaker and I’ve had to speak at ground level below the stage, simply because the stage wasn’t accessible to me. Investigations for a wheelchair stage lift began after Positively Wellington Venues received requests from universities to find easy access to the stage for disabled graduands at graduation ceremonies. 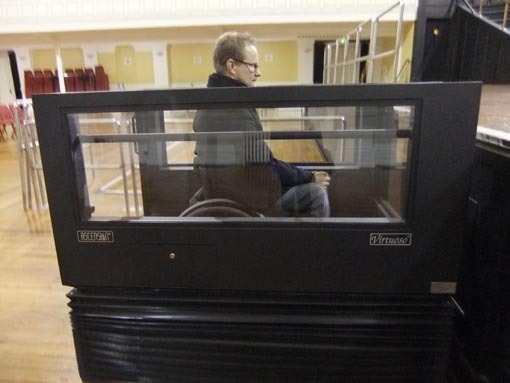 Contact Craig Woolliams (E: craig.woolliams@pwv.co.nz T: 04 801 4046) if you would like to borrow the wheelchair stage lift for your organisation or venue in Wellington. Original generation time 1.5025 seconds. Cache Loaded in: 0.0576 seconds.